Location: The Three Jewels Studio, 61 Fourth Ave. 3rd Floor New York, NY 10003. On Wednesdays in December Amandev will be holding a series of sacred meditations and meditative exercises. The techniques are designed to improve your awareness of the self and provide tools for you to make adjustments where needed. Through powerful kriyas (meditative exercise), mudras (hand positions), and mantra (vocal sound current) we will release, trust, and recognize our connection to source. • Liberate your HEARTS by letting go of old patterns. • Build trust and positivity and connect with the divine essence within. • Discover your own healing power with meditations and mudras. • Make new friends, improve yourself and your lifestyle. This class will cover important practical details that will be found throughout the series in many of the techniques we practice. We will practice a series of meditations to clear the garbage that builds up in our subconscious mind. Specifically working to clear the thoughts that unconsciously limit our thinking and develop into bad habits in thought and actions. By our nature we are prone to Anxiety, Stress and Negative emotions. This can occur from our environments or deep within ourselves and the past. We will practice techniques to remove these factors that cloud our minds and move into balance, intuition and trust. When your earthly matters and mind are in balance you realize strongly there is higher consciousness. The source of insight, the messengers of the light, the infinite, the divine realm. You will learn how to perceive and attract the divine into your earthly existence. This is a progressive series of meditative techniques arranged to benefit beginners, intermediate, and advanced level participants. Come out to the ones you feel called to, or come to all for a transformative group experience or simply to build discipline in your practice. 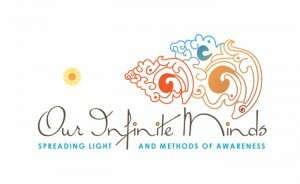 Save an additional $5 on the Series by Registering to this website and Liking the Our Infinite Minds facebook page. You do not need a PayPal account to pay using PayPal. Click on the “Pay Now” button below to pay for 1 class. Click on the “Pay Now” button below to pay for all 3 classes. Save $10 when you buy the 3 classes together. The Three Jewels Studio, 61 Fourth Ave. 3rd Floor New York, NY 10003. Energy Exchange: $20/each, $50/series(3 classes). On Wednesdays in November Amandev will be holding a series of sacred meditations and meditative exercises. The techniques are designed to improve your awareness of the self and provide tools for you to make adjustments where needed. Through powerful kriyas (meditative exercise), mudras (hand positions), and mantra (vocal sound current) we will release, trust, and recognize our connection to source. This class will cover important practical details that will be found throughout the series in many of the techniques we practice. You will also cover some explanation of the process for achieving awareness through meditative techniques. Energy Exchange: $15/each, $40/series(3 classes). On Wednesdays in September Amandev will be holding a series of sacred meditations and meditative exercises. The techniques are designed to improve your awareness of the self and provide tools for you to make adjustments where needed. Through powerful kriyas (meditative exercise), mudras (hand positions), and mantra (vocal sound current) we will release, trust, and recognize our connection to source. Nirvana Bliss! A Heart Opening Ceremonious Evening! Location: Alphabet City Sanctuary, 638 E 6th Street New York, NY. In the book the Essence of the Heart Sutra the Dalai Lama defines Nirvana as the “state beyond sorrows” or a “state of freedom from cyclic existence.” It is liberation from the cycle of death and rebirth and karmic patterns; it is the end of duality. Come join us for an evening of NIRVANA BLISS, beginning with a sacred tea ceremony where we will enjoy an organic blend of herbs and flowers such as blue lotus petals, holy basil, and other Ayurvedic spices that will assist us in creating a peaceful mental state. We will explore divine PLEASURE and LIBERATION via shamanic drum journeying, magical mudra meditations, and tantalizing raw vegan chocolate treats. All are welcome to join a delicious and enlightening workshop to nourish and free the mind, body, and soul. We will glorify the true magnificence of ourselves and cultivate a deeper unconditional love and acceptance for all. Let us HEAL ourselves and shine the LIGHT! Liberate our HEARTS, let go of old patterns, and connect with our divine JOYOUS essence within. Be guided via shamanic drum journeying accompanied by live GUITAR. Discover our own healing power with Kundalini meditation and mudras. Savor magical healthy raw vegan CHOCOLATE treats*. All are welcome- gods, goddesses, yogis, yoga newbies, angels, singles, couples, partners, raw vegans, chocolate lovers, and the curious alike!!! * Raw chocolate=connection=love! Connection fuels our creativity and opens our hearts. In addition to promoting healthy mental and emotional states, raw cacao beans have enormously positive effects on the cardiovascular system in the body. Cacao contains polyphenols, the same beneficial antioxidants contained in red wine. It is entirely possible to enjoy the health benefits of drinking the recommended “daily glass of wine” by simply eating chocolate. Yup. Raw chocolate LOVE. Sarah Eve is The Culinary Shaman, making magic in the kitchen and healing from the heart. She is a certified Usui Reiki master and practicing shaman with a deep love of the healing arts. Using a combination of practical and spiritual techniques Sarah Eve passionately guides you to whole body wellness, to a place of self-empowerment and love. Sarah Eve began her shamanic studies with shaman Izhak Beery and followed with the late shaman Ipupiara, an extroadinary Makunaiman of the Ure-e-wau-wau Amazonian tribe. She has completed workshops with Tom Cowan and the 13 Indigenous Grandmothers. The path of healing also led her to work closely with the Santo Daime community, John of God, and crystal energy work in Brazil. Other international trips including Mexico and Central America, Europe, Israel, and Southeast Asia, she encountered sacred spiritual practices and healers in which she is blessed to share and teach. Integrating her experience also as a vegan chef, she uses food as another medicinal tool in achieving whole body health. Sarah Eve infuses her practice with the body awareness gained from years of yoga practice; she completed a certified yoga teacher training under Sri Dharma Mittra in 2010. In private sessions and group workshops/classes Sarah Eve uses her array of gifts to facilitate one to connect deeply to one’s heart and true light, shifting illness, fears, and blocks, dealing with difficult emotional issues, and finding one’s higher life purpose. She assists in creating a safe space in which you can heal you! Amandev is a certified teacher of The Yoga of Awareness in New York City and abroad. He began the study of yoga at an early age, finding a deep level of understanding for all; through his own journey he accessed the profoundly transformational aspects of yoga and meditation and thus is passionate about sharing such wisdom. Amandev completed a KRI Kundalini Yoga teacher training in NYC with Sat Jivan Kaur and Singh in 2011, is a member of the International Kundalini Yoga Teachers Association, and continued his education to become a Sat Nam Rasayan healer, the art of “deep relaxation in the divine name” with Guru Dev Singh at Mount Shasta through the Center for Contemplative Awareness in Rome, Italy in 2012. 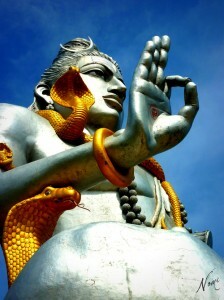 Amandev is also a certified Mudra teacher via Sabrina Mesko PHD. He additionally works closely with crystal energy and is a gifted healer, musician, and visual artist, channeling source energy in all that he creates. The name Amandev, translating to “angel of peace that acts as a lion of god”, was received in 2011 by Nirinjan Kaur, Yogi Bhajan’s chief of staff. Amandev emanates his name and a high integrity for truth in all aspects of his life, inspiring and motivating others to connect with their inner joy in harmony with the divine. Through private sessions he provides practical tools for self-healing. His goal is to raise global consciousness through love, respect, and abundance. Put your Tattvas in Check! Gratitude to the fathers! This Sunday Father’s Day in Alphabet City – Tattva balancing meditation with gratitude to the Paternal masculine, Sun, Shiva energy. Get an experience of sacred space, get your elements balanced and see what kind of magic unfolds during your coming week. If you are far from your dad or want to give your dad a healing experience bring yourself and your dad. This is the Yoga of Awareness, Kundalini yoga, it is ancient, tried and tested for centuries. In this session learn about the fundamental concepts, warm up the spine and we will put those tattvas in balance. This is for any level of practitioner. If you are procrastinating… stop it! …first block destroyed! Start your week right, looking forward to see you. - If you would like to you can bring a Yoga Mat, Cushion/Pillow or Blanket. *There will be mats and blankets available. - Make sure you are hydrated and have eaten something light and heathy (fruits/veggies) about an hour before. - Mentally prepare as this is your time for yourself, be open and give yourself a chance to experience your self. - These meditations require an unaltered state of mind and awareness. - Sign in if you have not been to a meet up before. - Find a place to sit, relax and enjoy your time.